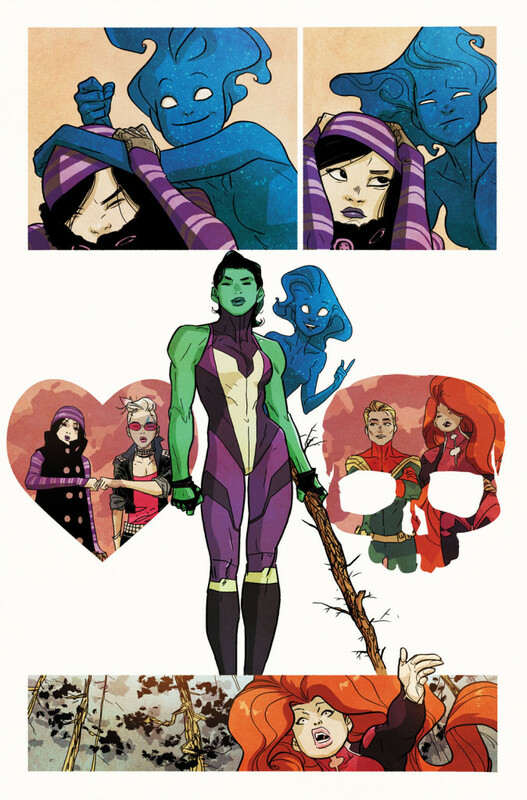 A-Force is back with a brand new story arc and they’re bringing a brand new creative team along for the ride! 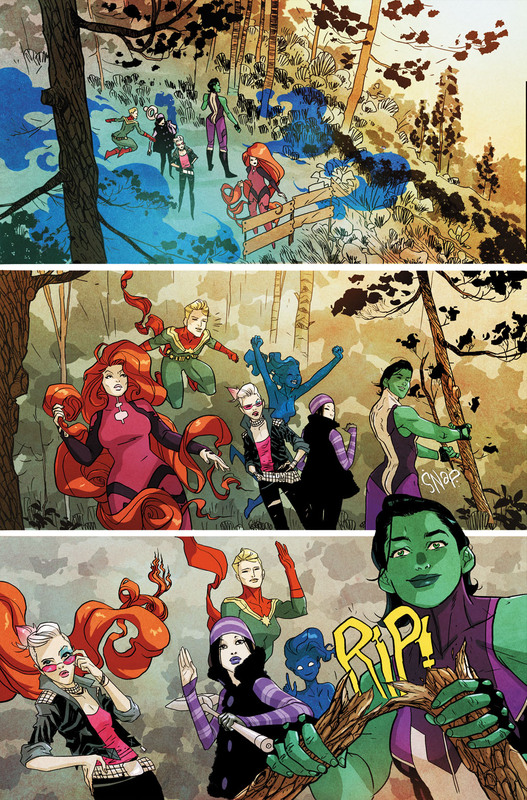 Today, Marvel is pleased to present your first look at A-FORCE #5 – the first chapter of “Rage, Rage Against The Dying of the Light”! 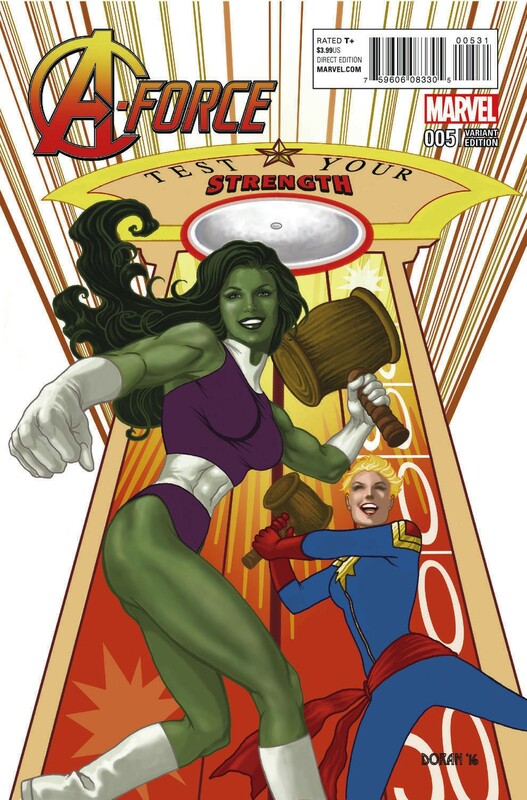 Fan-favorite creators Kelly Thompson and Ben Caldwell join forces to bring you the next chapter of Marvel’s mightiest women! 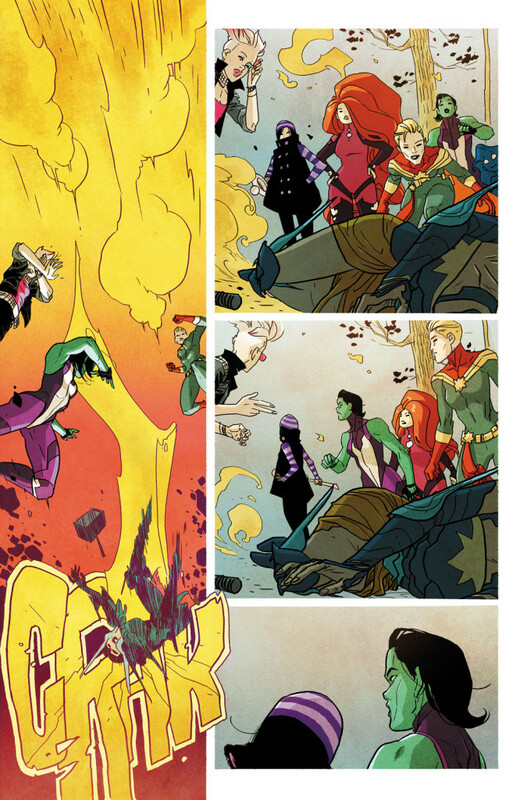 The battle with Antimatter may be over but A-Force is just getting started. 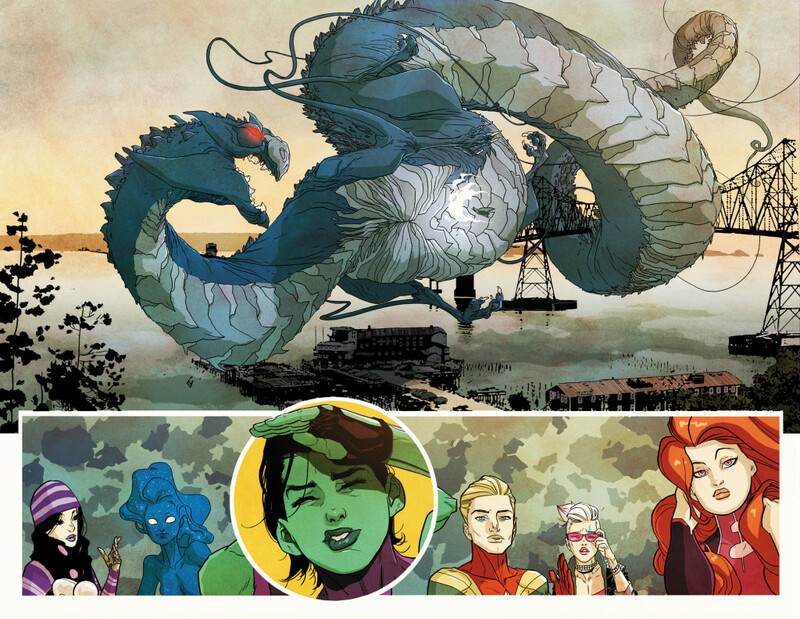 When a massive dragon attacks a small coastal town – She-Hulk, Captain Marvel , Medusa, Dazzler, Nico Minoru and new member Singularity spring into action! 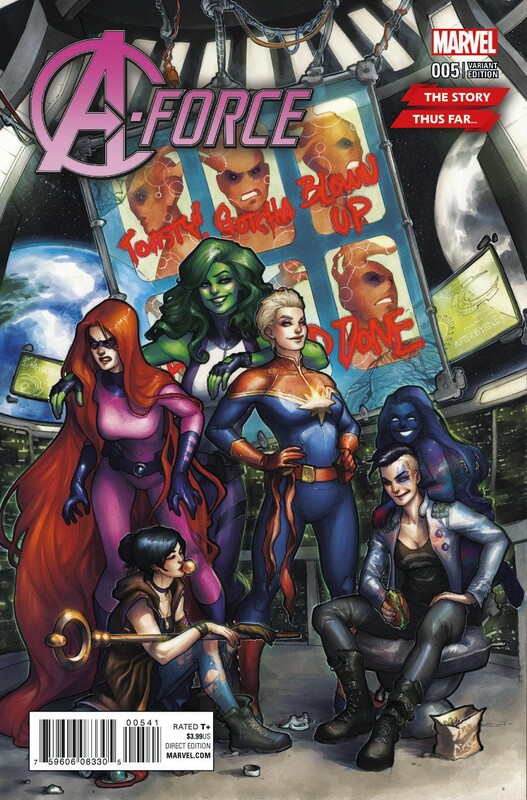 But this giant beast is more than she seems and she’s got her sights set squarely on A-Force! Oh – did we mention one of the team is keeping a secret? 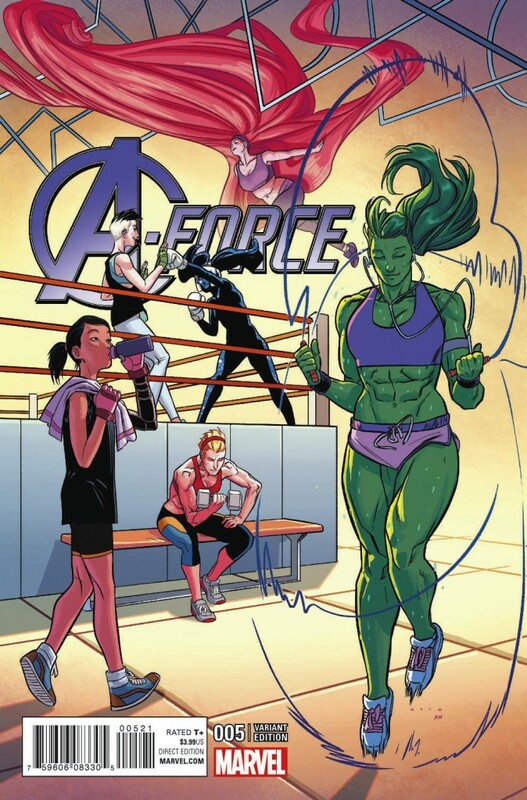 One that might tear A-Force apart? Now is the perfect time to jump on board the smash hit series that is a force to be reckoned with! 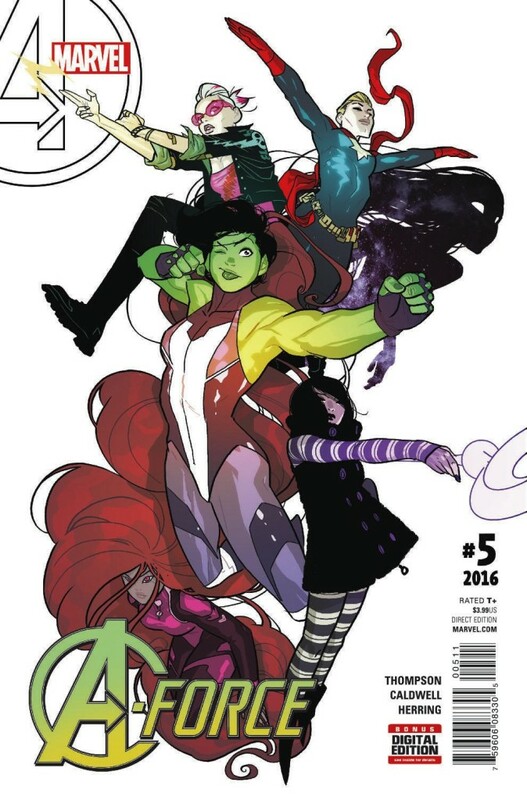 Be there as Thompson and Caldwell take the reins when A-FORCE #5 comes to comic shops and digital devices this May!